Your itinerary really depends on your time, if you want to see as much as possible in a few days, or are more on the relaxed side. 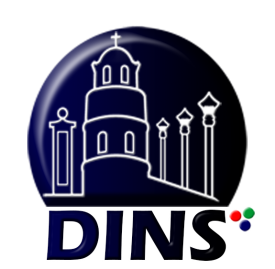 To cover most of the interesting Tourist Spots in Dumaguete you will need one day without rushing it. Rizal Boulevard is named after the late Dr. Jose Rizal, a man who is considered the national icon in the Philippines. 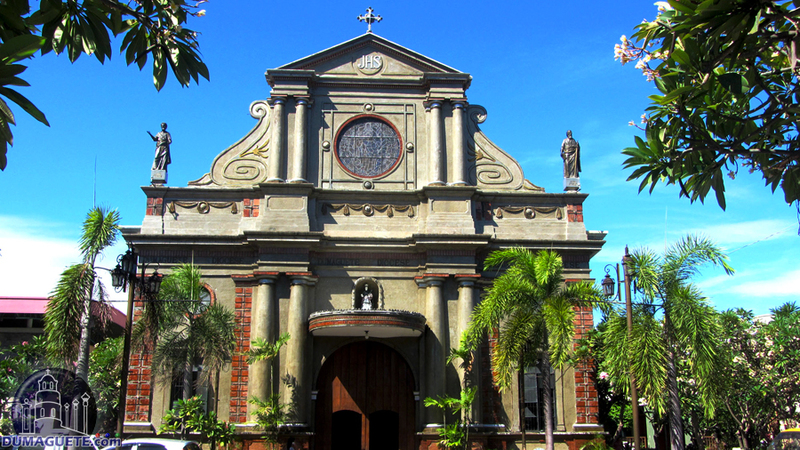 The Dumaguete Belfry stands right beside the Saint Catherine of Alexandria Cathedral, at one time it was used to call residents to mass. Silliman University, which in 2007 was rated one of the top five universities in the Philippines, has been given national landmark status. 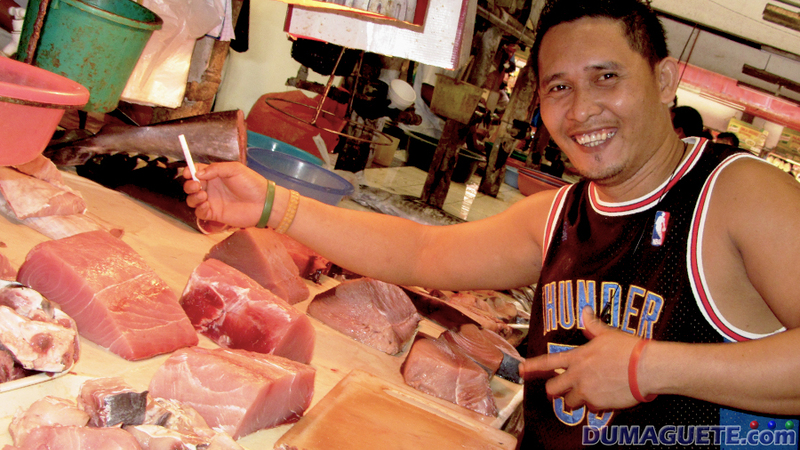 The Public Market is a bustling hive of locals, families, and tourists, the public market is where many sections of the Dumaguete population come together. The Ninoy Aquino Memorial Freedom Park is a calm, refreshing patch of green. It is the perfect place to rest while taking a break from sightseeing. 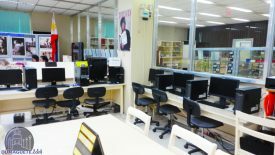 The Silliman Library is one of the best libraries in the Visayas, perhaps one of the Top 3 in country. It holds over 100a,000 books and can seat 490 people. 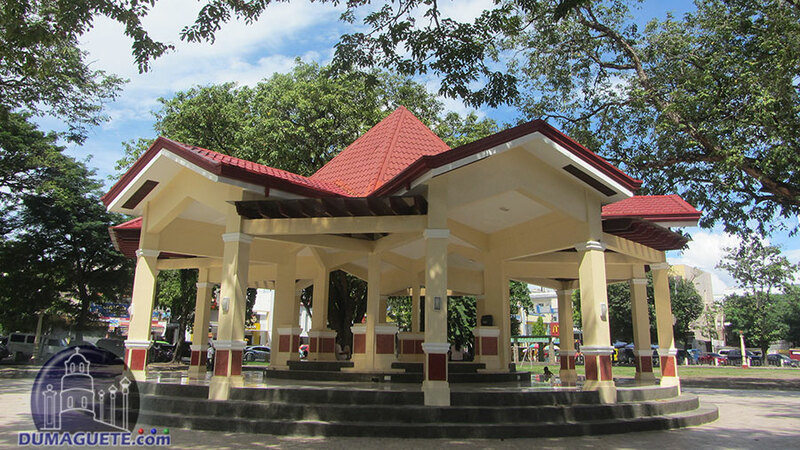 The Quezon Park is one of the most notable land mark here in Dumaguete City. It faces two other landmarks: Dumaguete Cathedral and Belfry. While the streets are always busy, one can feel the laid back attitude of all Dumagueteños as soon as stepping onto the street. When coming from a big City the most important thing to do is to slow down. After one successfully masters this task, it is time for a leisurely walk through downtown Dumaguete. When starting your City Tour at the Belfry Clock Tower, don’t forget to light a petition candle, or two. After that, you are ready to check out the Saint Catherine of Alexandria Cathedral just next to it. Stroll through Quezon Park down to the Rizal Boulevard. 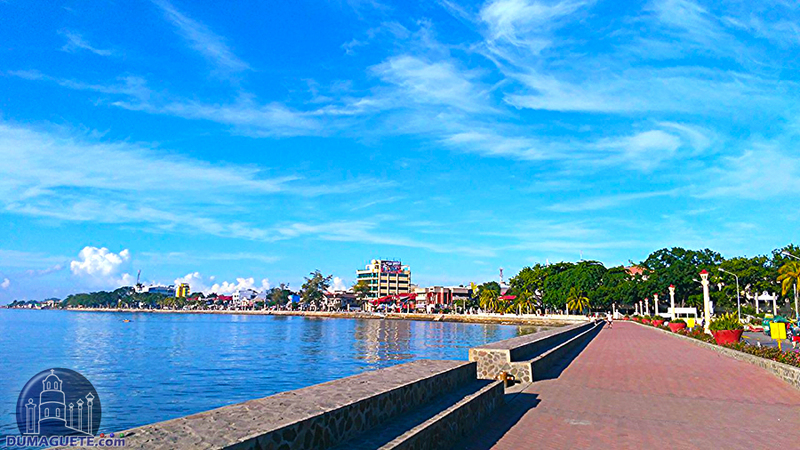 The 1 km long boulevard at the waterfront is perfect for breathing the original Dumaguete lifestyle. Watch all generations enjoying their time together. Get some local delicacies from the vendors or have a bit to eat at one of the many restaurants located there. Continue north and you can see the famous Silliman University at the north end of the Boulevard. Take a left turn into Silliman Avenue. 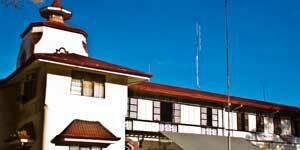 After a few minutes you reach Silliman’s Portal West where you enter the acacia lined campus. The Campus is a tourist attraction itself. 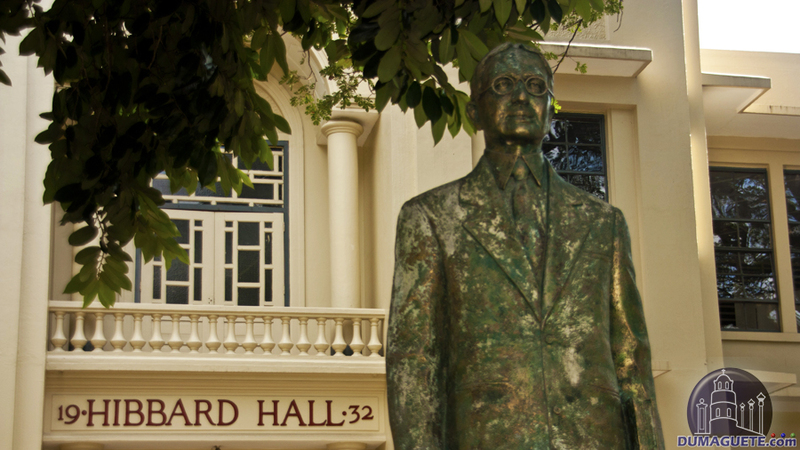 However, don’t miss the Silliman Library and the Anthropology Museum. 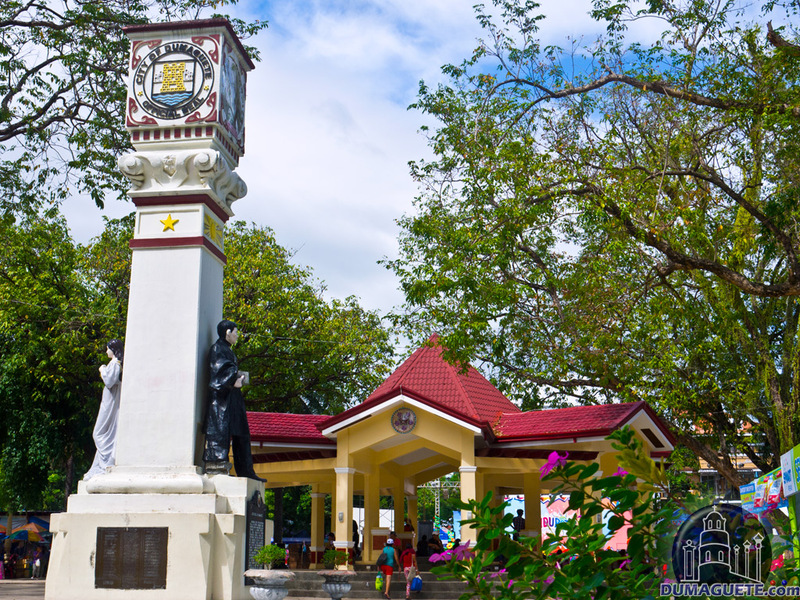 If one is not tired yet, just head to Freedom Park, where the government of Negros Oriental is located. When the culture and sightseeing part is done, it is shopping time. 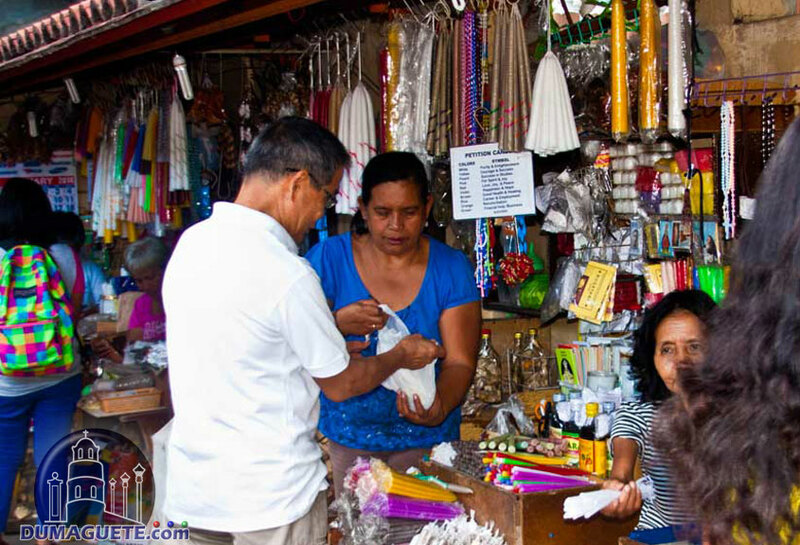 Get your Dumaguete souvenirs in one of the handicraft shops downtown, find a street vendor, which engraves your name in a necklace or head to one of the bigger shopping center for a Dumaguete Souvenir T-Shirt. 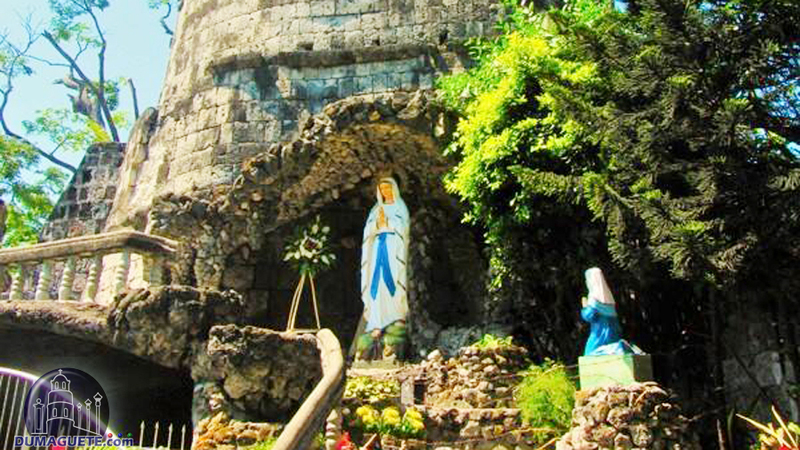 Your trip to Dumaguete would not be complete if you only limit it to the city. 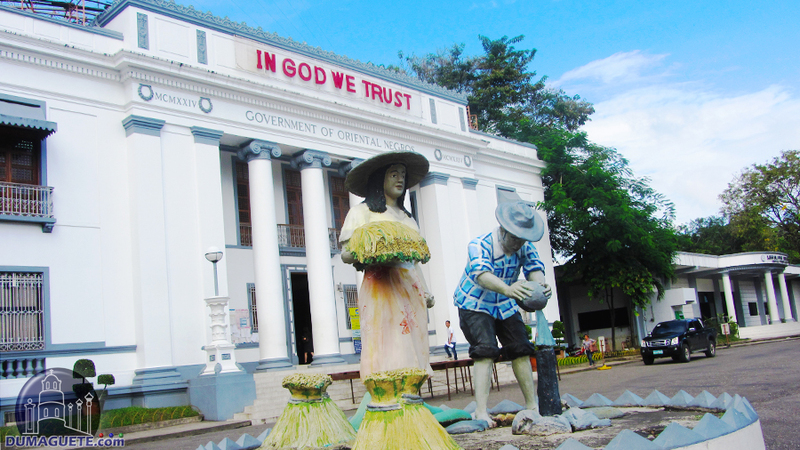 There are a lot of tourist attractions in Negros Oriental to discover.